As a Special Ed teacher, I often felt I lacked materials for my kiddos on their levels in Social Studies. Sometimes I was just plain lacking a good curriculum that could be presented to them in a way they could comprehend. At other times I felt what I was missing were the extra materials I needed to supplement the curriculum and reinforce the concepts. I always wanted to expose my students to things around the world. 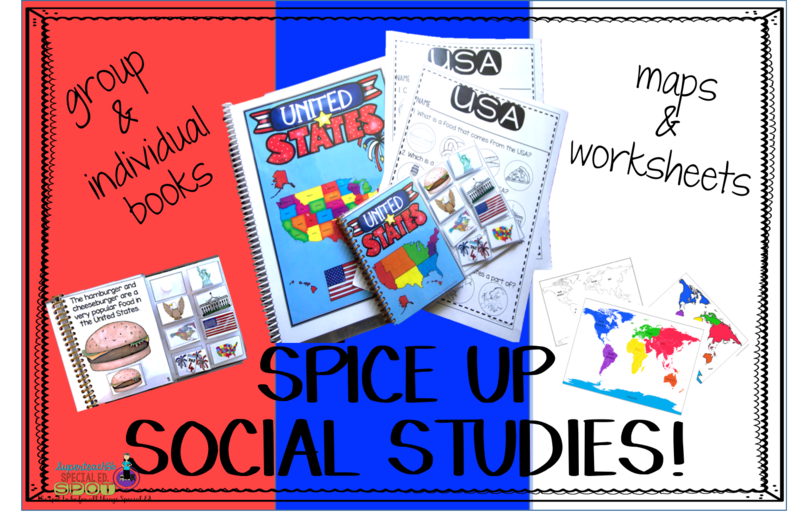 I wanted to share with you this great group of materials for Social Studies concepts. 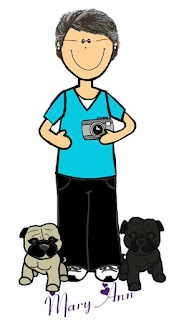 They work exceptionally well for students on a variety of levels. 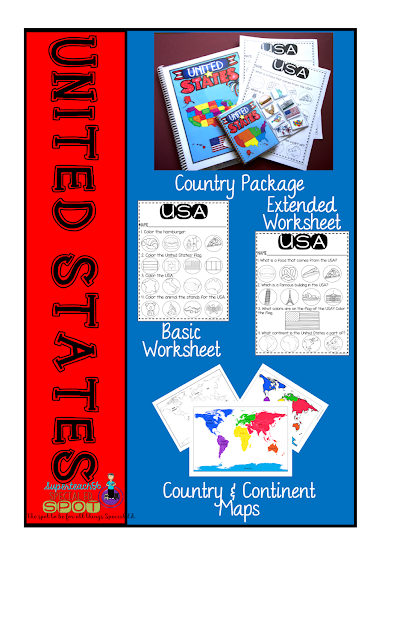 We used this packet for introduction and reinforcement of information about countries around the world. 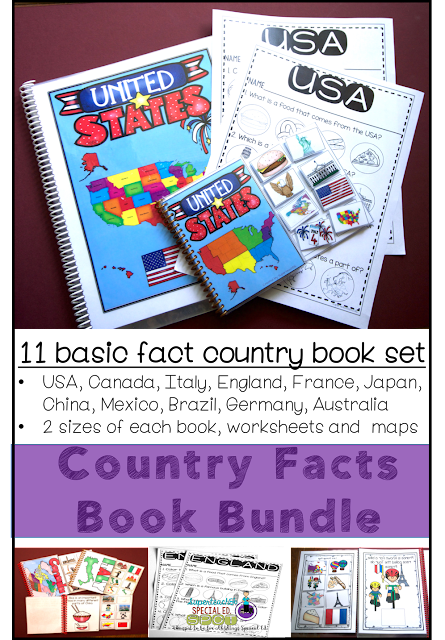 Each book has 10 basic facts about each country with a picture interactive component for each page. With one fact on each page, the students can read each country fact then match the picture card to the correct page. Here is a look at the book for United States. 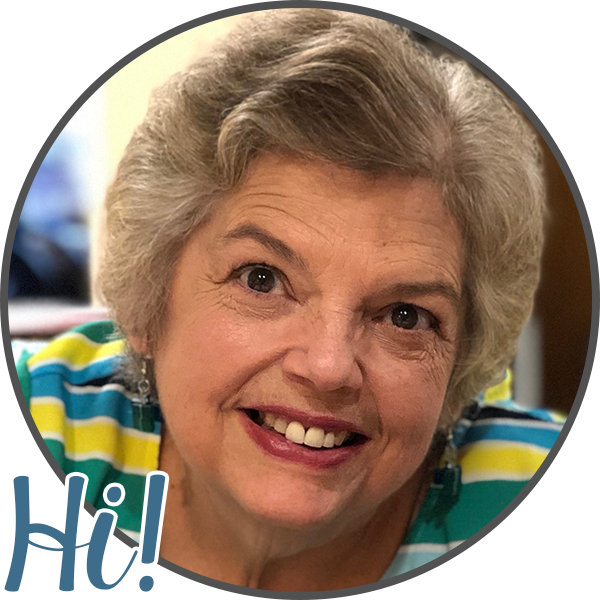 Click on the picture and YOU can have it for FREE as a sample. With each country you get 2 sizes of the book. One is full letter page size for small groups and the other is a mini-book just perfect for little hands. el reader and those with limited writing skills. The response types focus on coloring a picture of the answer to 4 questions from the content of the books. The 2nd has a reading level of about 2nd grade and the answers can be selected by coloring, placing X's on, or circling the correct choice. Also included are colored and black/white versions of maps relating to the book contents. You will find a continental map so students can locate the country on a world map, plus you will find a map isolating just the country of that book. Content in the books revolves around basic fact about the country such as common food, famous landmark of the country, sports the country is known for and important holidays for the country. Currently there are 11 of these cute country book sets. You can purchase them separately or in a money saving bundle which is located here. The countries include USA, Mexico, Canada, Italy, England, France, Japan, China, Mexico, Brazil, Germany, and Australia. Plans are to continue adding books to this bundle until there are 20 countries in all. Get yours now at the current price and you will be notified when new countries are added and you will be able to download them for FREE.